2019 poses a few unique challenges for business owners. The good news is that it’s still one of the best times in recent memory to get a business loan. Because of the rise of new digital lending services, there are more choices than ever before. But how can you wade through all the complexity to get a solution that works for you? Let’s take a look at the state of business financing in 2019. Today entrepreneurs are all over the place. People from all walks of life dream of owning their own business. In 2019 millions more will make that dream a reality and start a new one. No matter how you slice it, small business is how America does business. With many companies no longer offering the kind of stability and job security that they once did, it’s little wonder that so many workers across America are deciding that this is the year to go it on their own as an independent business owner. So how are all of these ambitious entrepreneurs funding their dreams? And how can you join them or even get a leg up? Financing a small business could mean many different things, but at the end of the day entrepreneurs need money in the bank to fuel each day in operation. Every business begins with an entrepreneur’s dream, desire or necessity. Many people start businesses because they want to pursue their passion in life, whether it’s cooking, creating floral arrangements, renovating homes or some other interest or passion. Generally speaking, these kinds of businesses will have to be financed from the start, either with personal savings, investments from venture capitalists or outside loans. It definitely takes something special to start something brand new, but it also impacts your financing options as it’s seen to be riskier. Risk-averse individuals may opt to take a more cautious route of purchasing a franchise, which comes with an established brand and proven operational systems. That brand security gives investors or lenders added confidence that the business will succeed. As a result, financing these kinds of small businesses tends to be easier. In 2019, there are hundreds of diverse franchise opportunities to cater to a wide range of personal interests. Regardless of how you begin your business – whether starting from scratch or buying into something that already exists – once you’ve decided to make the plunge is when the real financial decisions kick in. How can you handle them all? We’ve got 10 bits of advice specially adapted to financing you small business this year. Once you’re committed to starting a venture, you might think it’s time to get the checkbook out and start bringing in the cash. But you’d actually be getting a little ahead of the game, even when it comes to financing. The best thing for business owners to do in 2019 is to start any financial decision by looking at their business plan. Writing a good business plan is an essential first step to securing financing for your company. Your business plan should explain what the business is, who the customers will be, location, and when it will operate. The plan provides a roadmap to profitability and details the inherent assets of the business that will make it successful. Importantly, the business plan will be reviewed by lenders whom you might approach for capital. Two things every business owner or prospective owner should do in 2019 are to review and update their business plans at the start of the year. Make it a goal to do this at least twice every year so that you know the plan will be up to date. After the business plan, come two more very important plans that are essential to getting new financing for your small business. Your marketing plan is the document that shows the world what you’re going to do to grow your company and keep your customers coming back. You’ll also want to have a clear plan for how your funds will be used – whether to hire staff, buy equipment, stock inventory or make upgrades. Lenders or investors ultimately want to know whether borrowers will be able to repay in a timely manner. They will use your business plan in combination with the marketing plan to decide if your company is likely to succeed. When you have your groundwork laid out with your business plan, marketing plan and clear expense plans, you’re ready to make the tough financing decisions that trip up many business owners. First you’ll have to figure out the right amount of funding to request. Figuring out the right amount is no easy feat. Too much or too little could choke your business with payments that are too high or without capital to cover basic costs. After you know how much you need, it’s time to go through the application process. Either you’ll be raising money from investors (in which case you’ll need to respond to their requests for financial documents or other due diligence) or taking financing from a funder. Know the application process and ask for help gathering documents from your CPA or business partners if you need. Some entrepreneurs are fortunate enough to have enough money that they can self-fund a new business effort. But if you’re like most business owners you’ll need a little outside financing in 2019 to keep things running smoothly. 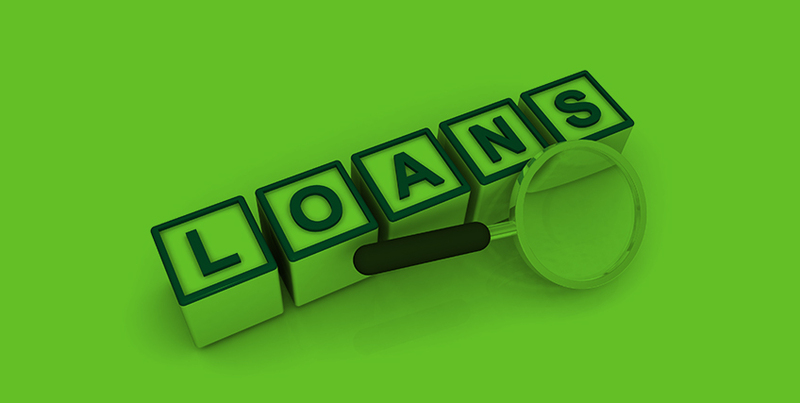 Debt financing will help you stay on top of quick cash needs, but comes with ongoing payments. Equity financing gives you no-obligation cash, but will see you lose some control of your business. Before you take funding, make sure you’ve considered all your options and pay special attention to these two main types of financing. In the end if you follow these all-important business financing steps this year you’ll be well on your way to a stellar 2019 for your small business.